On the Northeastern side of Mt. 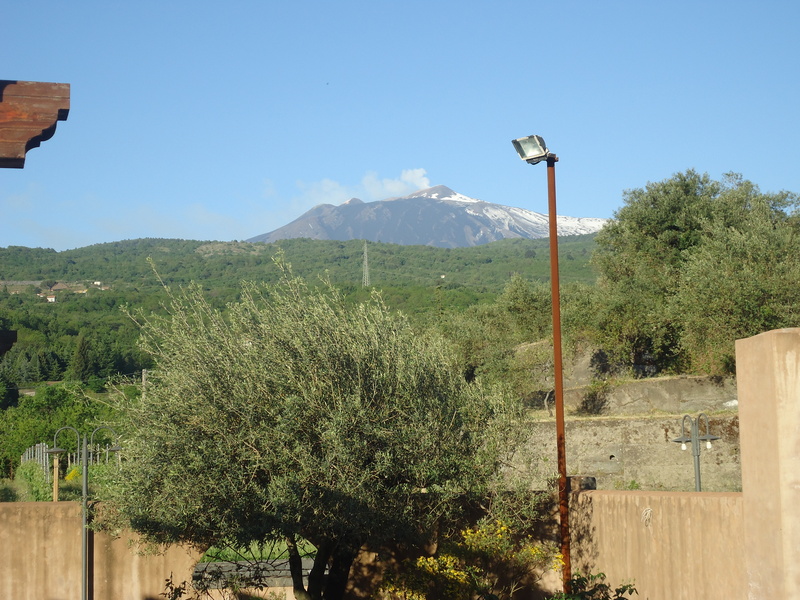 Etna, just a few kilometers away from the town of Linguaglossa,lies an organic vineyard, the Scilio Estate in the Galfina Valley. 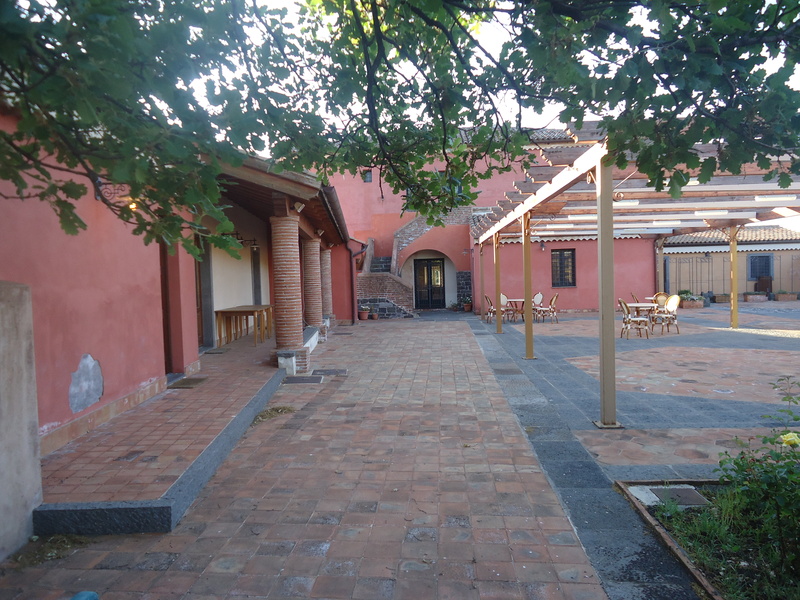 The estate covers an area of 28 hectares and the Scilio family has run this business for four generations. On a recent visit to the estate, I had the pleasure of enjoying the peaceful ambience of the estate and also the warm hospitality of the owners, Mr. and Mrs. Scilio. When Mr. Scilio and his wife conducted a wine tasting, I sampled some of Sicily’s native grapes. Nerello Mascalese is one of these native grapes and its rich flavor and full body are ideal for some of Sicily’s traditional rustic recipes which contain ingredients such as eggplant and tomatoes. 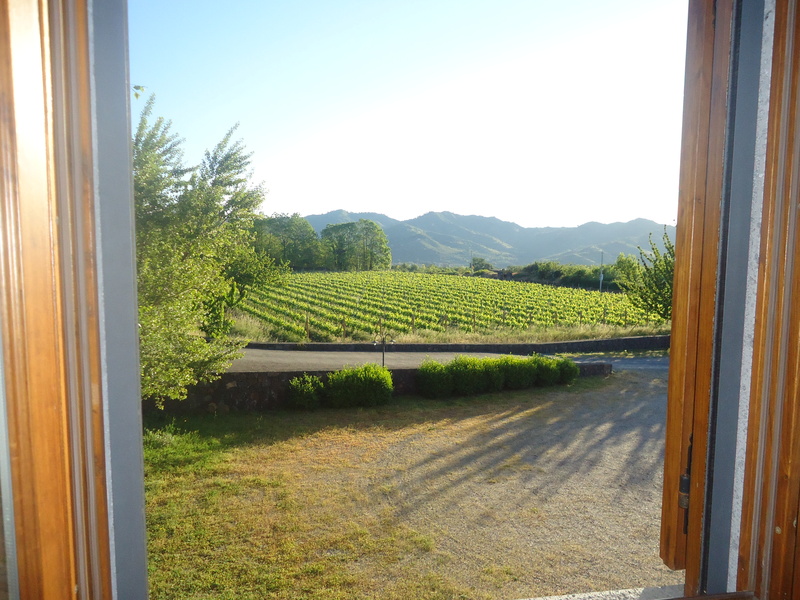 The white wine was a blend of two other native grapes, Carricante and Catarratto. This vineyard lies on the rugged terrain of the volcano where the soil has the richness of years and years of lava flows and having Mt. 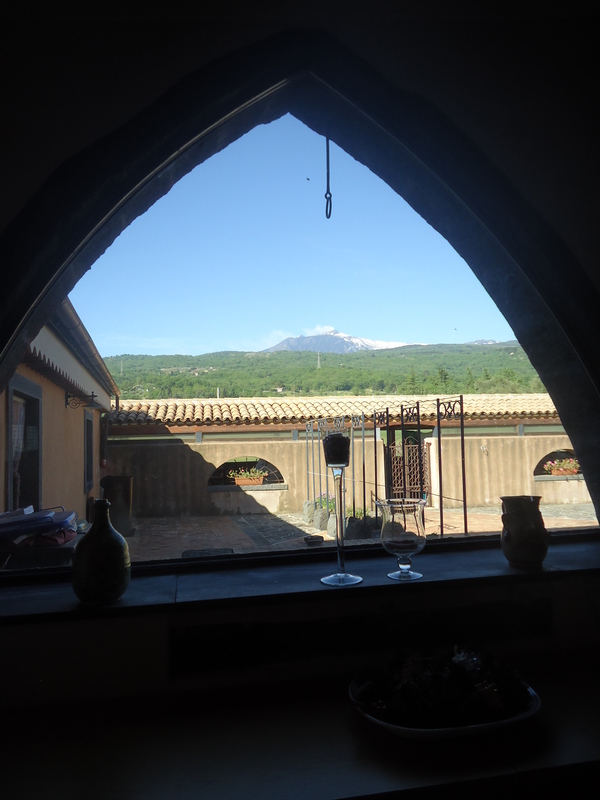 Etna in the backdrop only adds to the beauty of the natural environment. Domani e’ il tuo compleanno!!!!!!!!Auguri!!! I am in England at this time. I am enjoying the family; visiting my favorite Aunt and enjoying my cousins on a daily basis.